N. Kumar, J. — This appeal is by the Revenue, challenging the order passed by the Tribunal, which has set aside the order, imposing penalty on the undisclosed income and assets under block assessment for the years 1988-89 to 1997-98. 2. The assessee is carrying on business in money lending. A search came to be conducted in his premises wherein several incriminating documents were found. Proceedings under section 158BC r/w section 158BD under the provisions of IT Act (hereinafter, referred to as “the Act”, for short) were initiated. The assessee filed return of income declaring an undisclosed income of Rs. 21,00,525. The AO considering the material on record, determined the undisclosed income at Rs. 21,76,160. He computed the tax payable on Rs. 13,07,496. Thereafter, the AO initiated penalty proceedings under section 158BFA(2) of the Act and a show-cause notice was issued and the assessee also replied to the same. The AO found from the reply that the assessee had not satisfied the conditions imposed under the first proviso and second proviso. Therefore, he proceeded to levy penalty of Rs. 10,44,600. Thereafter, rectification proceedings were initiated under section 154 of the Act and consequently, the penalty was increased to Rs. 13,07,496. Aggrieved by the said order, the assessee preferred an appeal before the CIT(A) who dismissed the appeal affirming the order of the AO. Aggrieved by the same, the assessee preferred an appeal before the Tribunal, Bangalore Bench. The Tribunal held that the penalty proceedings are not legal as sub-section (2) of section 158BFA does not provide for circumstances justifying levy of penalty. The proviso which deals with imposing penalty is in the nature of exception. The entire provision does not contemplate the nature of the offence and therefore, no penalty could be imposed under section 158BFA(2) of the Act and therefore, the appeal was allowed. Penalty imposed was set aside. Aggrieved by the said order, the Revenue is in appeal. “(i) Whether the Tribunal was correct in holding that sub-section (2) of section 159BFA of the Act has been framed in such a manner that the violation cannot be identified and consequently, no offence for imposition of penalty can be made out and therefore, penalty cannot be levied. (ii)Whether the Tribunal was correct in relying on number of interpretations and principles evolved in interpreting statutes and adopting the same to the provisions of section 158BFA(2) of the Act and holding that it is ambiguous, capable of giving more than one meaning, does not bring out a charge, vests AO with the unbridled discretion and powers and therefore, no penalty under such a section can be imposed. (iii)Whether the Tribunal was correct in holding that the AO has been vested with powers of levying more than 120 per cent to 240 per cent penalty which is obnoxious and has never been the intention of the legislature and amounts to harassment of the taxpayer and therefore the provisions have to be read down as the AO has miserably failed to exercise the discretion in favour of the assessee by being reasonable since the assessee has filed the return belatedly by only a fortnight and the assessee had co-operated with the Department by paying higher rate of tax for the block period and therefore, penalty on merits cannot be sustained. (iv)Whether the Tribunal was correct in holding that the principles enunciated in Maxwell statute that two reasonable meanings if attributable to a statute is applicable to the facts of the present case which would result in cancellation of penalty and that the proviso granting exceptions cannot act as a main rule imposing penalty. (v)Whether the Tribunal was correct in holding that since the Budget Speech of the Finance Minister while introducing the Finance Bill, 1995 and also the CBDT Circular No. 717, dt. 14th Aug., 1995  127 CTR (St) 21 do not throw any light on the nature of offence on which penalty is imposable under section 158BFA(2) of the Act and therefore, no penalty can be levied. 4. We have heard the learned counsel for the parties. 6. From the aforesaid facts, it is clear that there was a search and seizure and consequently, a notice came to be issued to the assessee to file a return declaring undisclosed income. The assessee had filed a return declaring Rs. 21,00,525 as the income. After the assessment the AO declared Rs. 21,76,160 as the undisclosed income. The reason for imposing penalty by the AO was because the assessee had not complied with the requirement mentioned in the first proviso to section 158BFA(2). According to the AO the second proviso was also attracted to the facts of the case and therefore, he imposed the penalty. However, according to counsel for respondent, if the conditions prescribed in the first proviso to section 158BFA(2) had been complied (with) by the assessee the penalty clause itself is not attracted. Therefore, on the ground that the first proviso is not complied with penalty could not have been imposed. (b)where no return has been furnished, on the date of completion of assessment under cl. (c) of section 158BC. The words used in the second proviso make it very clear that discretion is vested with the AO whether to impose penalty or not. If the condition prescribed under the first proviso is complied with by the assessee, the question of exercising discretion would not arise and the AO has no power to impose penalty. The second proviso is attracted in a case where, if the undisclosed income as assessed by the AO is more than the undisclosed income as declared by the assessee, the penalty is payable only on the difference amount. 8. In the instant case, the question is as to whether, in the facts of the case, a penalty is liable to be imposed or not. 9. In the order passed by the AO, no reasons are assigned for imposing penalty. Penalty is imposed because the assessee has not complied with the conditions stipulated in the first proviso. That cannot be the reason for imposing penalty. Having regard to the facts of the case, when the assessee was called upon to file the return, he promptly filed a return declaring undisclosed income of Rs. 21,00,525 and the difference is hardly Rs. 78,635 out of which there is an error of Rs. 30,000 and the remaining amount has been spent towards marriage which is shown in the next year. It cannot be said that there is inaccurate or undisclosed income by the assessee. Though the assessee had not paid the tax payable on the date of the assessment order and the payment of tax was in instalments in pursuance to the notice issued, as there is a cash crunch, he has paid the tax subsequently. 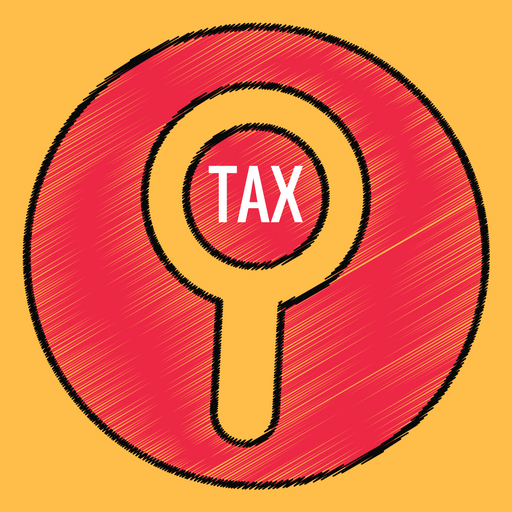 When the tax payable on the undisclosed income under section 113 of the Act is 60 per cent it takes care of many factors. 10. In those circumstances, in the facts of the ease, we are satisfied that the imposition of penalty without giving the reasons, vitiates the order and the Tribunal in his jurisdiction was justified in setting aside the order of penalty. Though we do not agree with the reasoning of the Tribunal that the provision does not contemplate the nature of the offence for coming to the conclusion that penalty is not leviable, in this case it is not necessary for us to go into the correctness or the legality of the said finding as the assessee is entitled for relief on the merits of the case. Therefore, we are not answering the substantial question of law framed by us. Accordingly, the appeal is dismissed. This entry was posted in Sec. 158BFA and tagged 344 ITR, conclusion of search proceeding, In favour of Assessee, interest to assessee in search cases, Karnataka High Court, Penalty u/s 158BFA.